PASADENA, CA; January 18, 2016– PBS President and CEO Paula Kerger announced today at the Television Critics Association Press Tour that it will air HAMILTON’S AMERICA, a feature film documentary providing intimate access to Lin-Manuel Miranda and his colleagues during the two years leading up to the Broadway opening of the musical Hamilton. 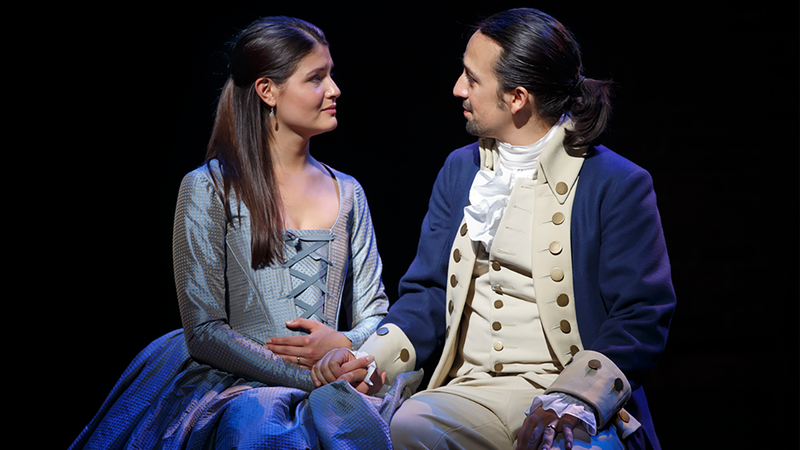 A contemporary perspective of Lin-Manuel Miranda’s revolutionary musical based on the life of United States Founding Father Alexander Hamilton, HAMILTON’S AMERICA will come to GREAT PERFORMANCES in the fall 2016, and will be a highlight of PBS’s Arts programming. HAMILTON’S AMERICA is produced by Academy Award® and Emmy®-Winning producers RadicalMedia (What Happened Miss Simone?, Keith Richards:Under The Influence, In the Heights: Chasing Broadway Dreams for PBS). The documentary combines interviews with experts and prominent personalities, new footage of the production in New York, and cast-led expeditions to DC, Philadelphia and New York. Audiences will sit with Miranda as he composes songs in Aaron Burr’s Manhattan bedroom. They’ll take a trip to Virginia with Chris Jackson – the African-American actor who portrays George Washington – and watch him place a wreath on Washington’s grave, as he discusses the difficulty of grappling with our founders’ legacy of slavery. Back in New York, Miranda and Leslie Odom, Jr. – who plays Aaron Burr – visit the Museum of American Finance to get their hands on some 19th-century dueling pistols and stage a quick re-enactment. Hamilton was a poor immigrant who built himself up from nothing to become the architect of modern finance and one of the nation’s most vital authors, but his story was cut short by scandal and untimely tragedy. He was killed in a duel by Vice President Aaron Burr, and his contributions to modern society have largely been forgotten by today’s general public. Today, Hamilton’s fan club is vocal and growing, and at the center of it is Tony®, Grammy® and Emmy®-winning composer and actor Lin-Manuel Miranda. Hamilton opened on Broadway on August 6, 2015 to rave reviews and unprecedented advance ticket sales. The show is redefining how audiences learn about history--a history rife with issues as relevant today as they were during Hamilton's era. Based on Ron Chernow’s biography, HAMILTON has book, music and lyrics by Lin-Manuel Miranda, is directed by Thomas Kail, choreographed by Andy Blankenbuehler, with musical direction and orchestrations by Alex Lacamoire. Produced by RadicalMedia in association with Thirteen Productions LLC for WNET and PBS, HAMILTON’S AMERICA is directed by Alex Horwitz and produced by Nicole Pusateri, with Jon Kamen, Justin Wilkes, Dave Sirulnick, Jeffrey Seller and Lin-Manuel Miranda as executive producers. For GREAT PERFORMANCES, Bill O’Donnell is series producer; David Horn is executive producer. GREAT PERFORMANCES is funded by the Irene Diamond Fund, the Anna-Maria and Stephen Kellen Arts Fund, The Joseph & Robert Cornell Memorial Foundation, The LuEsther T. Mertz Charitable Trust, Rosalind P. Walter, The Agnes Varis Trust, The Starr Foundation, the Kate W. Cassidy Foundation, Ellen and James S. Marcus, the Philip and Janice Levin Foundation, the Lenore Hecht Foundation, and PBS. RadicalMedia has produced a number of films telling nuanced, multi-faceted stories including: the Academy Award-nominated Netflix documentary What Happened, Miss Simone? and the acclaimed Keith Richards: Under the Influence; the Academy Award and Independent Spirit Award-winning documentary The Fog of War; Grammy-winning Concert for George; Under African Skies, the Emmy Award-winning documentary examining the making of the groundbreaking and controversial Paul Simon record Graceland; The Ron Howard-helmed Jay-Z documentary, Made In America, Joe Berlinger’s Metallica: Some Kind of Monster, Paradise Lost 3: Purgatory and Whitey: The US vs. James J. Bulger. Television credits include Oprah’s Master Class, Iconoclasts, David Blaine: Real or Magic, Park Bench with Steve Buscemi; and for Great Performances, American Voices with Renee Fleming; Sting: When The Last ShipsSail and In The Heights: Chasing Broadway Dreams.